Billy Crystal has a net worth of approximately $45 million. Billy Crystal is a well-known actor, writer, comedian, producer, and film director. Billy started his career as a standup comedian at the age of 16 year, but he got his first big break in year 1977. He played the role of a homosexual character and it gave him a large amount of popularity in entire nation. Along with this show he did many other TV shows and standup comedy shows as well that helped him gain more popularity and money. After this, his career reached its peak point between 1980 and 1990 and he became one of the top movie stars of Hollywood of the time. After this he did many other films and he worked as producer, writer and director as well. 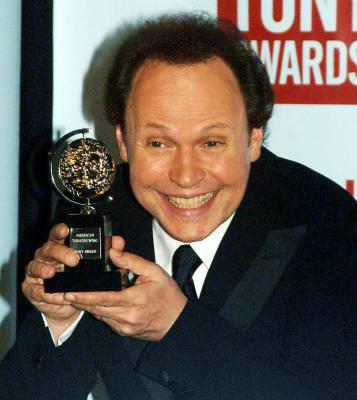 Billy Crystal was born on the 14th of March, 1948 as William Edward Crystal. He married Janice Goldfinger and the couple has 2 daughters. The below financial data is gathered and compiled by TheRichest analysts team to give you a better understanding of Billy Crystal Net Worth by breaking down the most relevant financial events such as yearly salaries, contracts, earn outs, endorsements, stock ownership and much more.